Guestbook - Somers Volunteer Fire Department, INC. Welcome to the Somers Volunteer Fire Department, INC. Guestbook. Your feedback is important to us. Feel free to leave your comments. Got sworn in today! Proud to join the family. Thank you Paul, and the rest of the Fire Department. Looking forward to contributing to our community. "Frenchie"
I heard about the small fire you guys had earlier today. I am glad that it was contained and didn't spread to other pieces of apparatus! Thoughts and Prayers go out to you guys! Stay safe! My wife came across this website by accident. 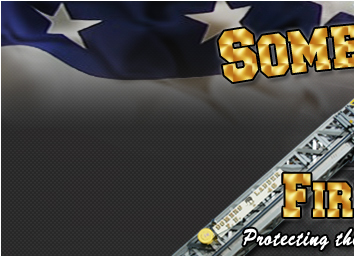 I was a member of the Somers Fire Department and past president from 1976 to 1979 and really enjoyed my time there. I was very happy to see this site. I am retired and live in Florida since 1983. All the pictures are wonderful and bring back many memories. Proud to have been a nineteen year active member. Miss you guys and girls, especially the Somers House crew.........always great to return for social events. Keep up the wonderful work you do and stay safe!! Looking good ! ( as John Bernal would say when marching in a parade while he was Judging it ) say hi to John and Chubby Falince ! Guest Name: E. J. Byrnes Jr.
New web site looks great. Great dept! You guys taught me everything when I started out. 20 years later, I am still a FF. Your website looks fantastic. Thanks to the guys on EMTBravo I found out about it, I am glad I did. I will add this to one of my tabs and support and follow you folks as best I can. Good luck and god bless you all at the Somers Volunteer Fire Department. Men & women- SITE LOOKS GREAT! You guys really are stepping up your performance.